Practice law without being a lawyer! Paralegal studies are an interesting option for those who want to pursue a career in law but without being a fully qualified lawyer. If you are more interested in researching the law, rather than arguing a court case, paralegal studies is your area. Paralegals are usually assistants to lawyers, who are specialized in carrying out specific legal tasks. They help out the lawyers by conducting extensive and intensive research into the legal situation of the case, to find the cases that would help the lawyer to argue the case in the court. Lawyers can then focus on matters of the most important such as in the selection of their arguments, the exact phrasing of these and the expressive manner to deliver them to the judge and the jury.As a career, paralegals can be found everywhere, even in the military. We at Lifesaver Essays write on a lot of different subjects, but Law is one of our specialties. You can place an order for a custom written research paper here. There are different academic courses available in paralegal studies ranging from Master’s, and Bachelor’s degrees to diplomas. As you may have to do a lot of writing as part of a paralegal career, it would be good to practice and develop excellent writing skills during your studies and whenever you get such good opportunities. What can you expect in essay writing in paralegal studies? As part of your studies, you may be required to write essays as assignments. The course curriculum of a paralegal studies program may include courses on legal writing and research, motive, and reasoning, as well as writing and litigation. As part of your training, you may be asked to write short or long essays pertaining to these subjects.You must also learn to be very thorough in all legal matters including terms and statutes, as you may be required to use them in your practice. You may be covering several areas such as real estate transactions, business transactions, estate administration and technological aspects. Writing an essay on any of these topics requires the ability to make excellent use of language and the use of analytical and organizational skills. After all, these are the very skills that you may need to display later in your career. So, take extra care to brush up your language to meet the exacting demands of the profession. Legal arguments and statements can lose their punch and effectiveness on account of poor and weak language structure. Hence, your written communication skills should undoubtedly be at a very high level. You have to use neat, precise, objective language; as legal writing is very factual, you need to avoid using long drawn out sentences and flowery language which lower the effectiveness of your essay. You would also need to showcase your analytical skills in detailing arguments. Whatever issue you have raised in your essay, should be meticulously analyzed. The arguments have to be supported by evidence from the legal domains and you may need to cite laws or statutes for this purpose. These arguments have to be presented in the form of clear paragraphs linked together by transitional or linking phrases. Legal papers not only have a specific format, they have to be also written using special reference styles such as OSCOLA, Oxford and so on. These styles involve the usage of numbered footnotes on every page, and a reference page with all the sources and cases set out in alphabetical order at the end. Read up on these styles first before starting your paper and write some practice sentences. This will ensure that all the necessary abbreviations, punctuation and other details will get entrenched in your mind and writing in this style would become automatic when you actually write the paper. Double-check whatever you write and ensure that all your statements are corroborated by hard evidence and are not based on speculations, opinions or hearsay.As these papers are the fore-runners of later case briefs, the practice of writing these exacting essays will come in good stead.Reading your paper aloud or getting your friend to read it for you would forestall any mistakes that one generally does not notice. 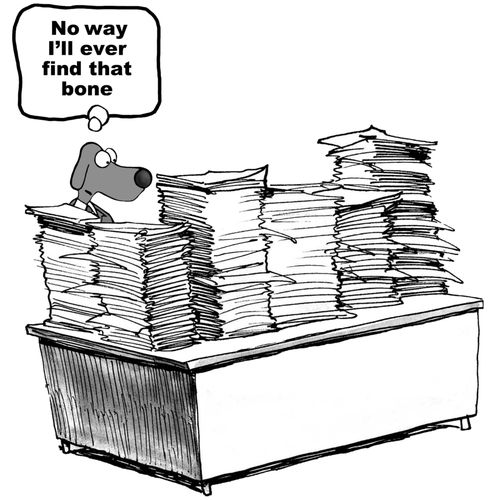 Is your current research status similar to a dog in the eternal search of a bone? More importantly, all that you write have to follow the legal format: this includes the use of specific procedures, legal ethics, and rules which are followed by all legal writing and documentation. A wide range of reading and research is needed for writing these papers. The literature would include law books, journal articles dealing with the specific issues as also the case files that deal with earlier precedents. The law library and the internet repositories and archives would yield a good selection of material on the topic. Diligence in research will help you later when researching for actual cases. However, a note of caution when using the internet for accessing the sources: the universities accept only authentic sources. general internet material from sites like the Wikipedia, blogs, e-periodicals are frowned upon. So, avoid them completely. Remember that, although a paralegal student may not have to do the complete set of work expected from a lawyer and are not accorded licenses to give legal advice, they are equal to them in other ways. For instance, in terms of writing, they have to display the same level of knowledge, expertise, and excellence as is expected from a law student. Hence, your essays and assignments should reflect that all the time.Many well-known luminaries in the legal sphere have reached their greatness due to the unremitting hard work of their paralegal staff. Due to the depth of their knowledge in cases and legal points, many paralegal employees have been instrumental in the lawyers in winning their cases.